The trolleybus routing is divided in two lines, in the trolleybus line 861 and the trolleybus line 862 . The two trolleybus lines are altogether 37.2 km long and lead through 5 quarters of Eberswalde. They have thus the predominant part of the city as catchment area. The two trolleybus lines have particularly in the quarters Stadtmitte and Westend a common pipe routing. 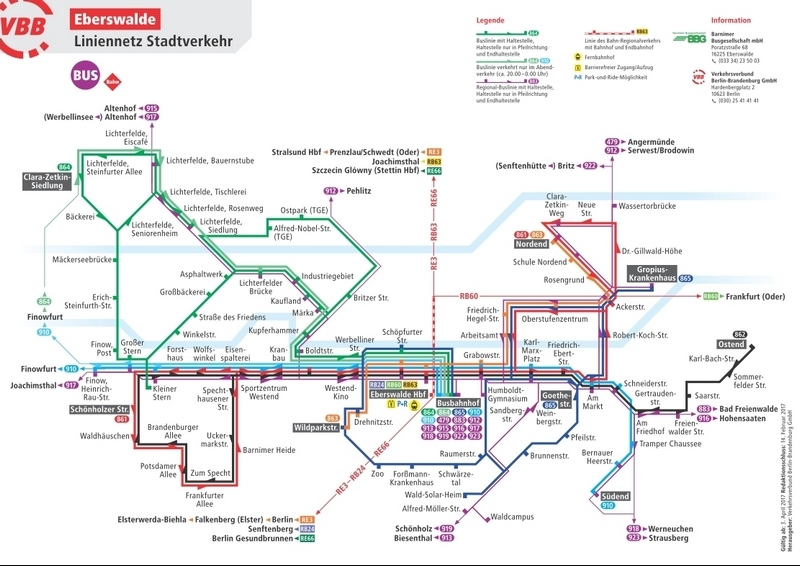 Thus results in the quarters Stadtmitte and Westend a short cycle sequence of the departure times. In the quarter Westend (Boldtstraße) is for technical reasons a turning area. The turning area is driven without passengers. It used for corrections with timetable difficulties, trips to the depot and for the division of the trolleybuses into the timetable cycle sequence.